The VFA clubs were split into two divisions in 1961 but this initially had little impact on the composition of the Association's representative team. Throughout the 1960s and 1970s the combined team continued to be selected from both divisions, with the best players of 2nd Division often the equal of their counterparts in 1st Division. The prime example being Williamstown's Eddie Szyska who kicked 10 goals for the VFA against Canberra in 1968 whilst playing in 2nd Division. However, by the late 1970s the standard of play in 2nd Division had slipped well below the top level and only two or three 2nd Division players were being selected in representative teams. In 1981 the VFA recognised the gulf between the divisions had widened even further and decided to select separate representative teams, with the 2nd Division team playing a lower level league (usually as a curtain-raiser for the 1st Division team). In 1985 the concept of a 2nd Division representative team was scrapped altogether with the VFA preferring to field an under 18 combined team against other youth sides. A mere two years later the situation in 2nd Division had diminished to such an extent that the Association's board of management was more focused on keeping the clubs solvent than forming a representative team. By 1988 the lower division was in its final season, leaving the 1984 match against the SAFA as the last of a short-lived tradition. The VFA reserves also played representative football but these matches were not scheduled on a regular basis. The most consistent period was the 1930s when they played the VFL reserves, usually as a curtain-raiser for the VFA and VFL senior representative teams. The list below shows the matches known to have been played and is likely to be incomplete. If you know of any other games involving the VFA Reserves combined team please contact me with details. 1934 (June 4) vs VFL Seconds - this was an opening round match of the Hartley Shield competition. 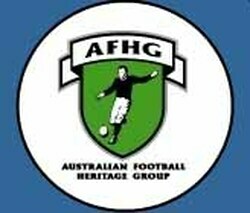 The competition was first played in 1927 and was run by the Victorian Junior Football Union. It involved various junior leagues from the metropolitan region including the VFA Seconds, VFL Seconds, Victorian Junior FA, Metropolitan Junior FA, Federal District FL and Eastern Suburbs Protestant Junior FA. 1934 (June 16) vs VFL Seconds - curtain-raiser for the VFL vs VFA representative match. 1936 (June 29) vs VFL Seconds - curtain-raiser for the VFL vs VFA representative match. 1937 (May 12) vs VFL Seconds - curtain-raiser for the VFL vs VFA representative match. 1944 North vs South - exhibition match played to raise for funds for Prisoners of War charities. 1951 vs Diamond Valley FL - played midweek. 1953 vs Mountain Districts FL - played on the Coronation Day public holiday.